In celebration of Women's History Month, join us every Wednesday for Women's March, a series of films directed by women, starring women. The film selection highlights particularly creative approaches to the art of filmmaking and offers points of view from America to around the globe. 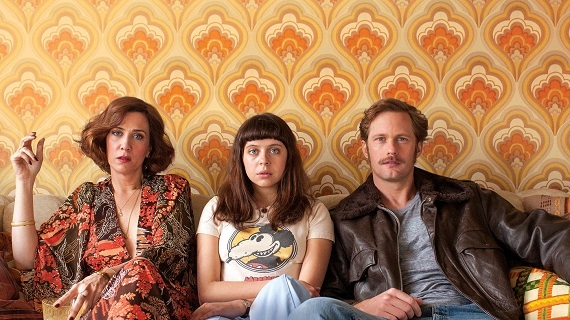 The Diary of a Teenage Girl is based on Phoebe Gloeckner's novel of the same name, hailed by Salon as "one of the most brutally honest, shocking, tender and beautiful portrayals of growing up female in America." Can You Ever Forgive Me? writer/director Marielle Heller unlocks this diary with a richly comedic and deeply personal vision. In her feature film directorial debut, Heller brings Gloeckner's book to life with fearless performances, a stirring score, inventive graphic novel-like animation sequences, imagination, humor and heart. It is a coming of age story that is as poignant as it is unsettling. Sponsored by The Women's Club.